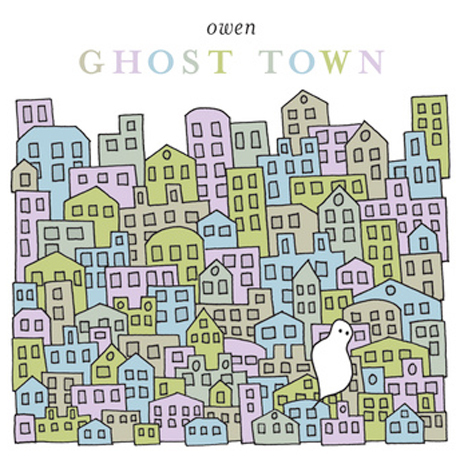 While the past decade and a half has seen Mike Kinsella bash the skins for Cap'n Jazz, Owls, Joan of Arc and more, the Chicago-bred musician has made a name for himself as slow-core-indebted bedroom artist Owen. Adding another album to his vast and varied back catalogue, Kinsella has now returned to the project for another full-length. Titled Ghost Town, the disc marks the musician's sixth full-length effort under his nom de plume. You can stream album track "I Believe," which, despite a smattering of loud drums and distorted six-strings, plays just as gentle as any of his past work, over on Owen's Bandcamp site or down below, where you'll also find the full tracklisting. Also featured on the record is "O, Evelyn...", a tune that appeared on a seven-inch earlier this year. Longtime label Polyvinyl will issue Ghost Town on November 8. 2. "No Place Like Home"
9. "Everyone's Asleep in the House but Me"